Facebook is still under the typhoon of the investigations that have plunged the company based in Silicon Valley in a series of inquiries about the data it shared with Cambridge Analytics. This time the FBI, the Securities Commission and the Department of Justice will "review" everything concerning the case. Apparently, there were many loose ends in the responses of its CEO Mark Zuckerberg and researchers want to find the real reasons why Facebook did not inform users and investors about the “mistake”. If security scandals continue, it is more likely that it will remain as an abandoned planet in cyberspace, if users flee in terror due to the insecurity that the famed social network is offering. It´s well known that the directors of the largest social network in the world are cooperating with the agencies. It is also known that investigators are examining the actions and statements of the company and its directors, including those of the CEO, Mark Zuckerberg. "We are cooperating with several senior officials from the United States and the United Kingdom, among other countries. We have appeared publicly, we have answered all the questions and we have assured that we will continue collaborating," said to Reuters a company representative. According to an undisclosed source, the United States authorities will focus on the decisions made by the company regarding the case of Cambridge Analytics. In addition to the filtering of data, the information given by Facebook about the use made of the data in relation to the British consultancy will be investigated. For the authorities, it is necessary to know the decision-making made by the company once it was aware that Cambridge Analytics had improperly accessed personal information from tens of millions of users of the social network. Although the FBI and the Securities Commission have not detailed much in what they are digging, the Federal Trade Commission told the press that it examined whether Facebook engaged in unfair acts that harmed consumers and could have violated a consent agreement reached between both sides in 2011. The European Union and several countries around the world have launched a series of investigations against the company that apparently did not sufficiently protect the personal data of nearly 87 million users worldwide. The suspicion of having been his network the back door by which the Russians influenced the 2016 presidential campaign has taken its toll. However, many analysts and specialists in the field suspect that the "error" was not so "error" since in addition to having one of the best security experts, Alex Stamos, Facebook had always protected his data well. Some consider that everything is part of a collision in which the company wanted to make quick and easy money and at the same time experience a new type of business using Big Data as a fundamental raw material. To make matters worse, Cambridge Analitycs was among the companies that collaborated with Trump's campaign team and other Republican candidates. The British consultancy used the personal data to develop psychological profiles of voters that served the campaign strategy of the current president of the United States, Donald Trump. The scandal uncovered caused that the CEO of Facebook had to appear before the US Congress and the European Parliament. Also, a few weeks ago, The New York Times launched a journalistic report in which it is exposed how Facebook offered information to phone manufacturers of users and their friends. It is speculated that around 60 producers of mobile devices benefited from the information. To make matters worse, the company has returned to admit another error by unlocking the blocked contacts of 800,000 users for several days. The admission of this ruling occurs precisely under the inquiries of federal agencies on the security of the social network. The social network said that in 83% of cases only one user was unblocked and added that it is notifying the 800,000 affected of its failure. The Silicon Valley company also claimed that the error "did not restore friendships that had been cut" with the locks, but it did admit that unlocked users could access shared content through third parties and get in touch. 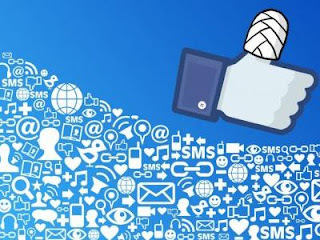 Facebook, the largest social network in the world and at the same time more popular continues to self-dynamite and it´s quite possible that its shares at stock market blow up and becomes on no values shares.